INFOS / ORDER http://shelter-press.org/cv-jab-zin-taylor-thoughts-dot-travels-surface/ — Thoughts of a Dot as it Travels a Surface is the title of an album derived from a series of wall drawings begun in 2014 by multi-disciplinary Paris-based artist Zin Taylor. Drawn in simple black-and-white, the large-scale pieces depict linear landscapes populated with rough-hewn objects: potted cacti, sculptural boulders, steaming stone baths. Taylor describes the project as “a psychological backdrop,” utilizing the reductive yet narrative techniques of caricature and illustration to achieve an abbreviated, associative form of visual storytelling. Or in his words: “Think of it as haze collecting along the surface of the wall.” Upon completion of a particularly ambitious 90-meter panoramic wall drawing, experimental composers Christina Vantzou and John Also Bennett were invited to interpret the work as a musical graphic score. The result was a forty minute live performance in two parts, which was multi-track recorded and then mixed down into a 10-track album. Each piece and title corresponds to a specific section or object in the wall drawing. Vantzou, though based in Brussels, is best known for a string of enigmatic solo recordings for the American ambient imprint Kranky, while Bennett has explored electronic sound design in a variety of capacities, including as one third of Brooklyn synthesizer outfit Forma. Working under their initials – CV & JAB – they attempted to translate Taylor’s elusive gestural lexicon into sound. The results are appropriately minimal, malleable, and mysterious. Opener “Cactus With Vent” sets the tone: insectoid murmurings and fractured crystalline tones seesaw in and out of focus, eventually disappearing within a wash of churning water. Each composition flows unbroken into the next, much like Taylor’s continuous line, emphasizing fluidity, curvature, and connectivity. “Hot Tub” introduces a mesmerizing synthetic flute-like raga, pirouetting above muted jungle noises and a babbling brook. 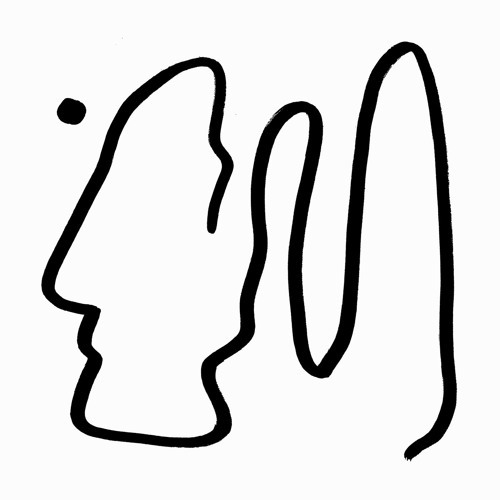 Subsequent songs skew softer and stranger, alternately meditative (“Large Suess Plant”) and miasmic (“Tombstones”), remote vistas mapped with hieroglyphic frequencies. The recordings, like Taylor’s nuanced mini-murals, exude a subtle but restless energy, rarely lingering too long in a fixed formation. The whooshing astral synthesizer of “Alfred Hitchcock Haze” dissolves invisibly into the smeared, somber séance of “Rock House With Door,” which in turn evaporates amongst the menagerie of chattering printers, running water, and shepherd tone whispers of “String of Objects With Planter.” More so than in past projects, here Vantzou and Bennett mask their presence, allowing textures and tonalities to tangle or unspool with minimal intrusion. The effect is naturalistic, impersonal, and intriguing. Even the few passages of relatively emotive classical piano (“Brick With Modern Form,” “Fingers Of Thought”) are played with an air of otherworldly detachment, as though such beauty was materializing purely of its own accord. Recorded Live at Westfälischer Kunstverein in Münster, Germany May 6th, 2017. Mastered and cut by Rashad Becker at D+M. Clear purple vinyl housed in reverse board-printed inners and double-width spine jacket. Comes with a 180CM. leporello reproducing the original 9000CM. walldrawing. First edition of 700 copies worldwide.